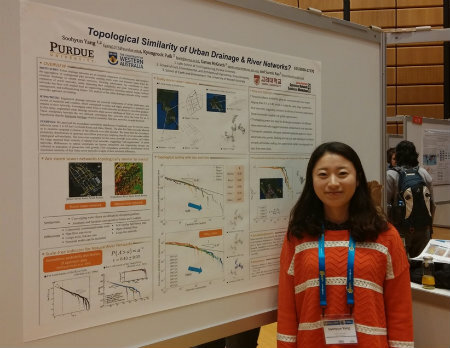 A paper published by a PhD student and faculty in the Lyles School of Civil Engineering has garnered the Editors' Choice Award from Water Resources Research. Starting in 2011, Water Resources Research has instituted the Editors' Choice Awards. The award is given to about 1% of published articles in any calendar year to provide professional recognition to scientists for their outstanding work. The selection is made by the Editors of WRR based on technical significance, novelty, originality, presentation, and broader implications of the publication.